Emily is currently a scholar with the Dame Nellie Melba Opera trust, holding the Dame Nellie Melba Scholarship and Patrick & Vivian Gordon Award. Emily holds a First Class Honours degree in Vocal Performance from the Sydney Conservatorium of Music. She most recently performed the role of Kate Julian in Sydney Chamber Opera’s production of Britten’s Owen Wingrave, in August 2013. 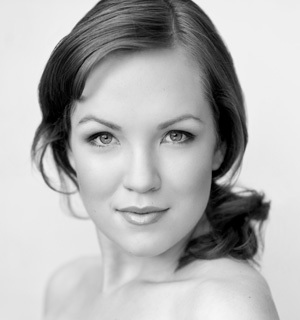 Emily performed the role of Cherubino for Opera New England’s production of Le Nozze di Figaro in January 2013. She was a Young Artist with Pacific Opera Company from 2010 to 2012. Her performances with the company included the role of Second Lady in the Die Zauberflöte. In November of 2012 she appeared as the alto soloist in Willoughby Symphony Orchestra’s performance of Handel’s Messiah, and performed for Australian Opera Auditions Committee Gala Concert, and Sydney Chamber Opera’s production Through the Gates as part of the Sydney Biennale. In July 2012, Emily was a finalist in the Mietta Singing Competition where she was awarded a prize of special acknowledgement. Her future engagements include the Australian premiere of George Benjamin’s Into the Little Hill with Sydney Chamber Opera for the 2014 Sydney Festival, as well as the role of Dritte Magd in the Sydney Symphony Orchestra’s concert performance of Strauss’ Elektra in February, 2014. She is also engaged to sing Elgar’s Sea Pictures with the Sydney Symphony Orchestra, as part of the 2014 Discovery Series.